Though there are lots of YouTube Downloader/Converters which can easily convert YouTube to MP3, there are few ones which can download and convert YouTube to FLAC. The following article will introduce a powerful YouTube to FLAC Converter and a step by step guide on how to download YouTube video or audio to FLAC format. 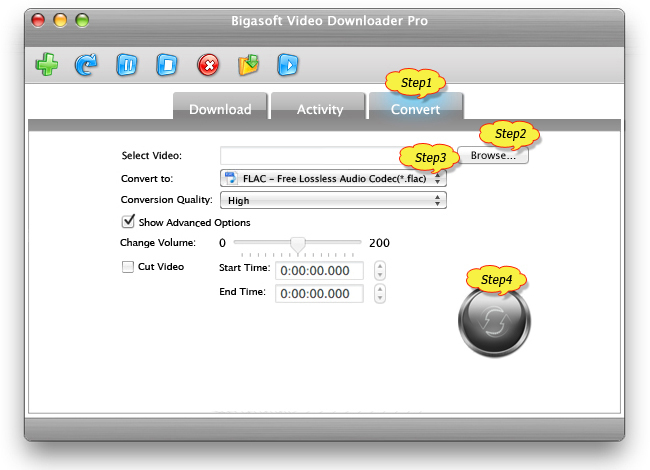 Bigasoft Video Downloader Pro, the professional YouTube to FLAC Conversion software, can fast download as well as convert YouTube to FLAC with almost no loss of audio quality on Mac (OS X Mountain Lion included) or Windows (Windows 8 included). Download and convert YouTube to other audio formats including MP3, WMA, WAV, M4A, AC3, AIFF, OGG, AU, RA and MP2 and etc. 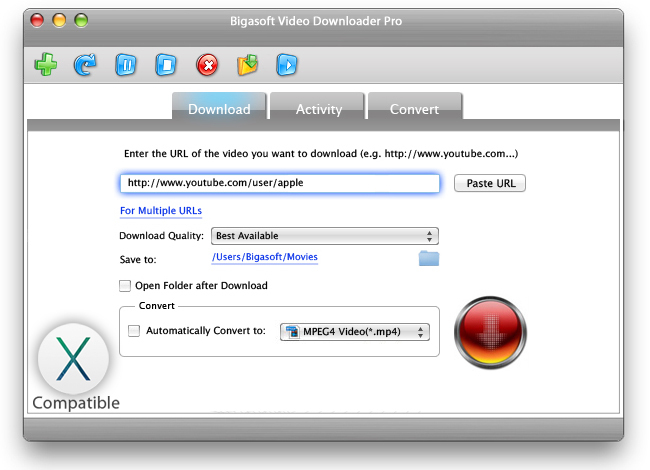 Download and convert YouTube video to MP4, AVI, WMV, MOV, MPG, MKV, ASF, VOB and more. Download and convert online movies and music from all popular video sites like Facebook, Google Videos, Metacafe, eHow, Vimeo, MTV, BBC, Dailymotion, etc. How to Download YouTube to FLAC? Free download the powerful YouTube FLAC Downloader for Mac or Windows - Bigasoft Video Downloader Pro (Mac Version, Windows Version), install and launch it, the following Download panel will pop up. Copy the URL of the YouTube video or music video which you want to download to FLAC, and then paste it to the text box on the left side of Paste URL. Click the "Download" button to start and finish downloading YouTube to FLAC. How to Convert Downloaded YouTube to FLAC? 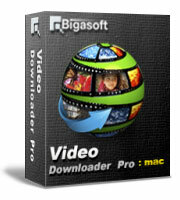 Launch Bigasoft Video Downloader Pro as you do in the above step by step guide. Press the "Browse" button to add the YouTube files you have already downloaded. Click the "Convert" button to start converting YouTube files to FLAC, it will be finished with high output audio quality.